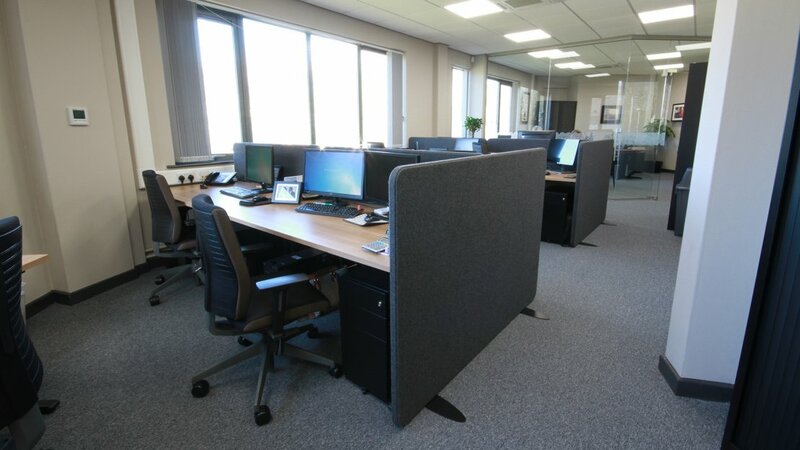 Not all businesses can or want to move to a new office, or have the luxury of finding temporary space to operate whilst refurbishment is ongoing in their permanent base. 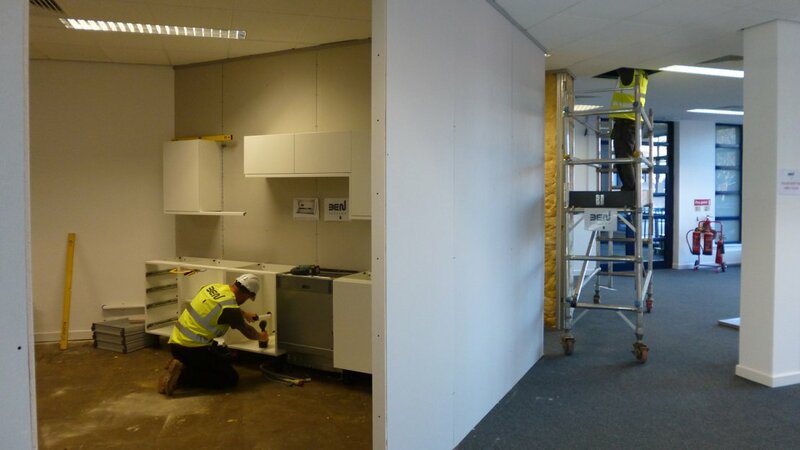 A lot of clients need refurbishment on their office whilst they occupy the building. But how would this work and what experience do Ben Johnson Interiors have to help this run smoothly? The key to a smooth running project is planning – knowing what everybody should be doing and when. The design of the project has been signed off by this stage, so it’s now that our experienced team start working on these key aspects in order to operate considerately and on time throughout the project. Everybody’s H&S always come first. 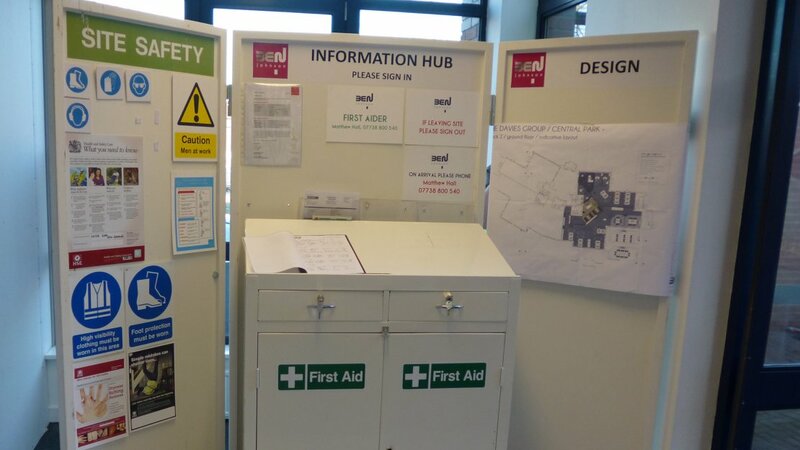 Right at the beginning will be the development of a bespoke plan and risk assessment detailing how best to manage and deliver the project whilst protecting the H&S of the clients employees, members of the public and the construction team. The third aspect (the client employees) adds complication to the H&S plan, so we make sure everything has been properly assessed before we even step through the door! Our team have worked many different ways on occupied buildings but we often recommend phasing a project. They can run consecutively and allow for the movement of staff between phases so that normal working can continue for the client. Due to our experience, we can help you decide how many phases there will be, and a sequence for this work will be developed to best minimise the disruption and impact on the clients daily business activity. 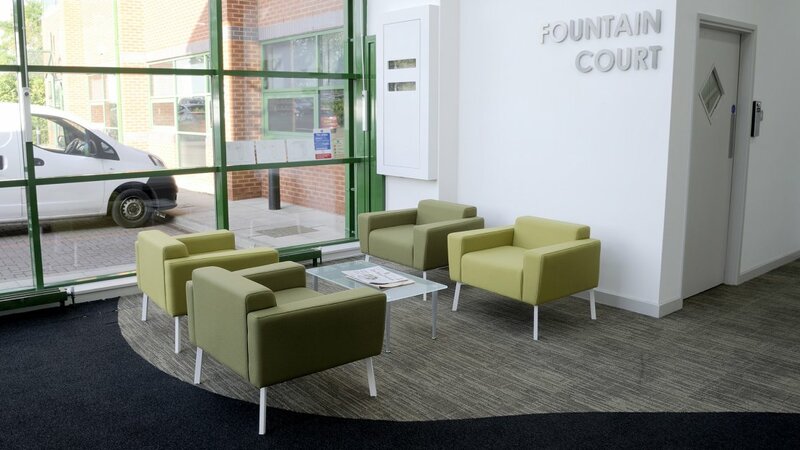 We can manage everything from moving furniture to phone lines, tea & coffee facilities to footfall flow and access (of both client employees and construction team). We also of course, plan contingencies in the event of the unforeseen. 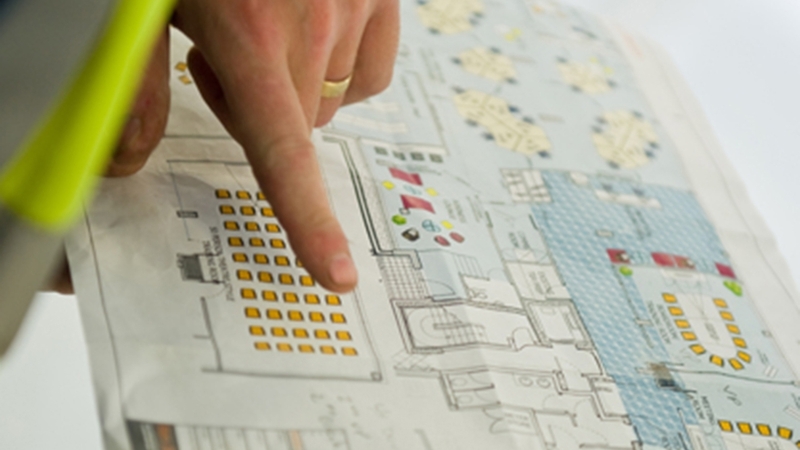 The ideal construction team on an occupied project should barely be seen or heard. Particularly noisy activities will be identified and we will recommend that these are undertaken outside of normal business hours, along with deliveries and the removal of waste debris. Ideally we would set up alternative access routes to again, minimise disruption to the client’s employees. How is IT infrastructure maintained throughout the project? Show us a business that can work without their computer systems. One of the main concerns raised by clients considering an occupied refurbishment, is how their business can operate in regards to their IT. Ben Johnson Interiors take care during the project to ensure that the client’s technology will operate smoothly. This includes hardware and cables not suffering accidental damage or getting disconnected. 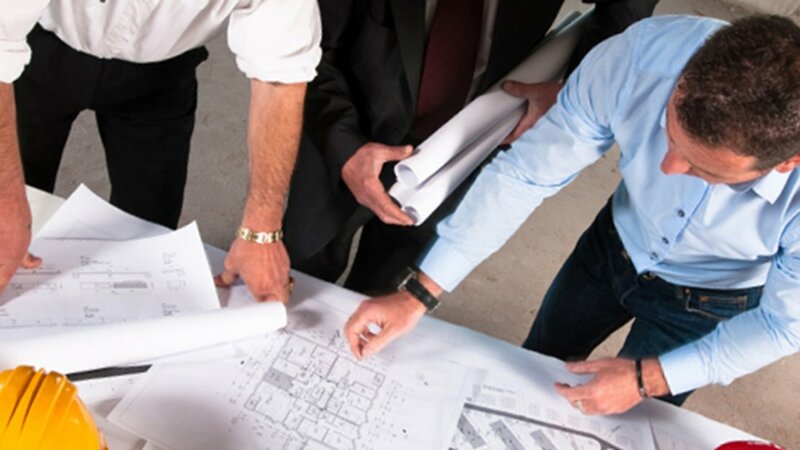 We do this by looking at original installation drawings if available, or if not available (or up to date), we undertake a detailed infrastructure survey so that we know where everything is before we commence works. This combined with us understanding exactly what is needed at each time of day, helps us to ensure your business operates normally throughout the refurbishment. Do onsite issues occur, and how are they dealt with? With careful planning, there are generally very few problems that occur whilst work is underway. Our experience with occupied projects is paramount here. Being aware of any critical business services before we start work, helps us to avoid major operational issues for the client’s employees. We avoid many issues with the placement and dedication of one of our experienced Project Managers, as well as a Project Supervisor who is on site every hour that the construction team are operating. If there is an unforeseen occurrence, our Ben Johnson employed professionals can often change the sequence of work or find a fix quickly so that the project lead time is not affected. We are also mindful and respectful of the businesses operations, so if an unplanned business activity needs to take place, we can more often than not, amend what we are doing to accommodate this. Again, experience tells us which activities carry the loudest sound levels. We advise that the noisiest jobs are undertaken outside normal business hours. We may also recommend this for Health & Safety reasons. 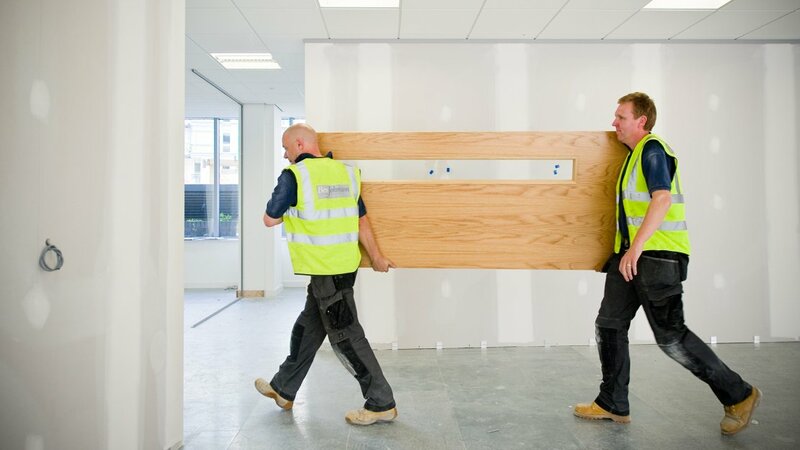 However, even the quietest of tasks can disturb a business’s employees, therefore we can construct temporary sound reducing walls between the construction area and the client’s operational space and we have also invested in quieter power tools. Will deliveries and storage of materials affect my employee’s day? If a different delivery area to the main client entrance cannot be made available, then the arrival of materials and the disposal of waste will avoid the staff arrival and leaving times. We may also use out of hours deliveries. 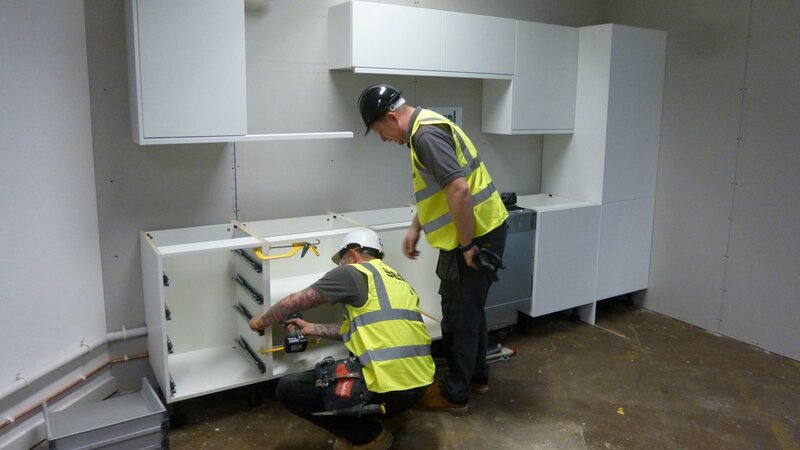 However, our preference is a separate area – this is also due to space often being tight and for H&S reasons. If car parking is at a premium, we will help with this by parking our own vehicles off site if possible. Storage space is often tight in occupied buildings, therefore we plan and arrange for just-in-time deliveries from our off-site warehouse. What is the cost implication of refurbishing whilst occupied? We will be upfront here – unfortunately, out of hours working does require premium hours pay being given to construction/delivery staff. All these costs will be included in the quote and we are very honest about them. 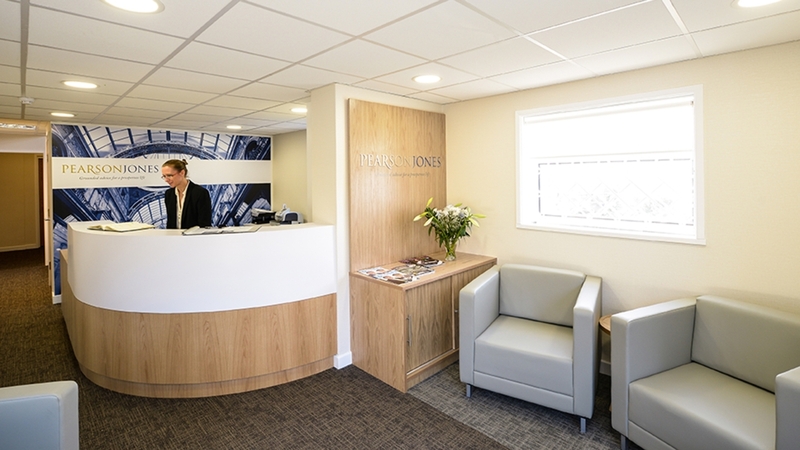 Many client’s weigh up the alternative cost of the time and money of finding a temporary office base, as well as the general business and staff disruption this incurs. Then they can visualise that the out of hours costs are reasonable and indeed vital for business continuity. Fortunately, with good planning and execution, out of hours working can mean the project completing more quickly due to minimal disruption from outside forces. Again, this can help close the cost gap of the project compared to moving out of the office to allow for unoccupied refurbishment. 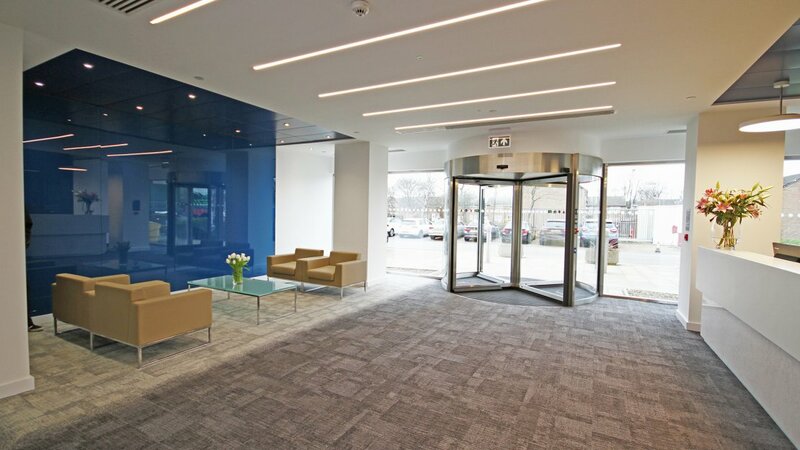 We can also help with cost reduction at the design stage by incorporating the re-use or refurbishment of materials or furniture without compromising on the aesthetics of the project. The re-use, recycling or upcycling of materials is also (and obviously) is good for the environment by reducing what goes to landfill. Please view of the Case Studies featured – all the listed projects were refurbished whilst occupied.